This 34mm. Two-Tone Rolex Oyster Perpetual Date dates to 1991 and comes complete with the original box and papers and expensive (unused) green leather wallet which holds credit cards and money. The solid gold bezel and winding crown perfectly match the original gold dial and baton hands. The steel thick steel OYSTER bracelet displays very fine shape. Any marks on the case are quite minor. There are a couple nicks on the sapphire crystal, but I decided they were not distracting enough to replace the crystal. This watch has a nostalgic inscription on the case rear-given to a 25 year employee of Coca-Cola. 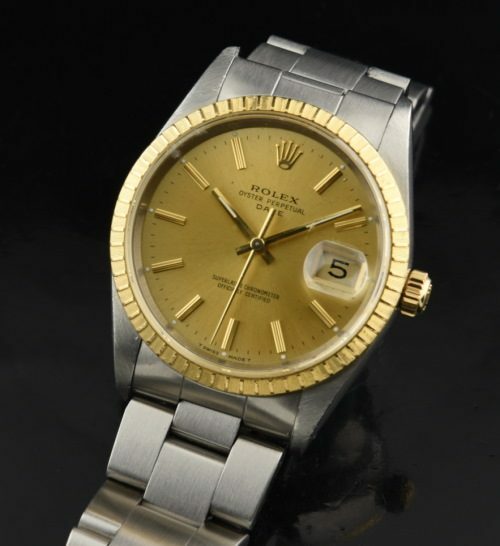 We just had the watch expensively cleaned by our ROLEX approved watchmaker. 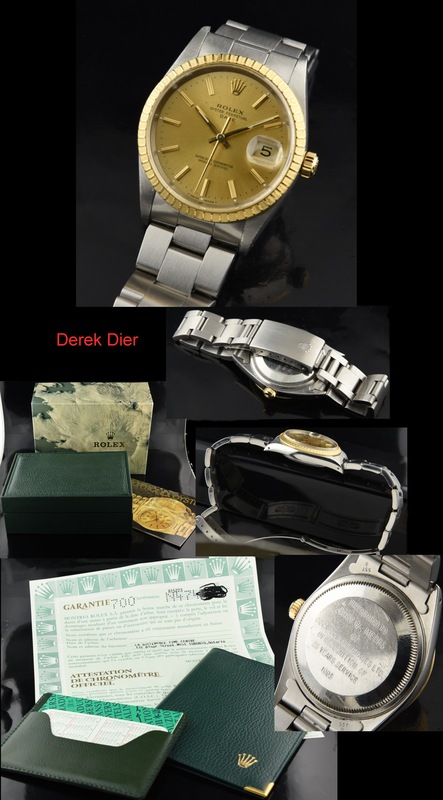 This watch is priced to sell quickly.